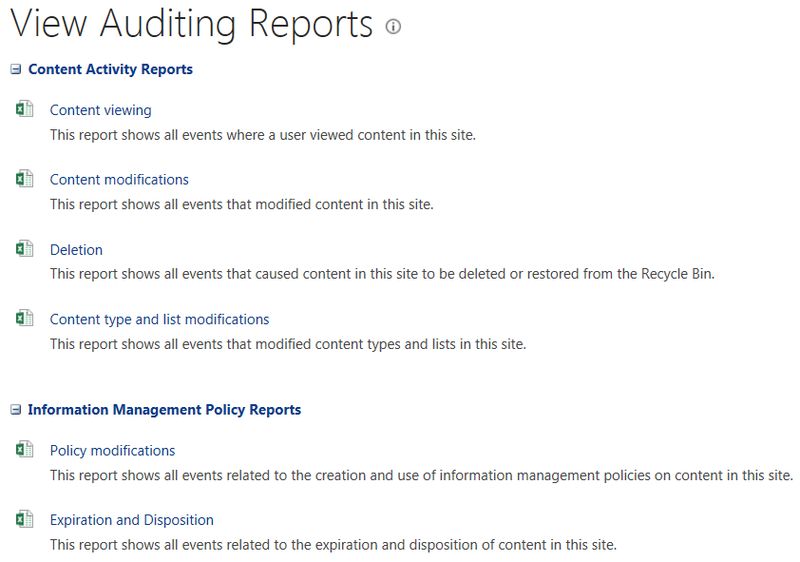 SharePoint has some built in Audit Log reporting that can be leveraged for rudimentary auditing purposes. 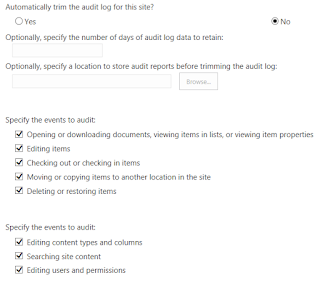 In order to these reports to become available, you will need to configure the Audit Settings on a per site collection basis from the /_layouts/15/settings.aspx page. From your site collection root, click the Settings gear in the top left of the page. 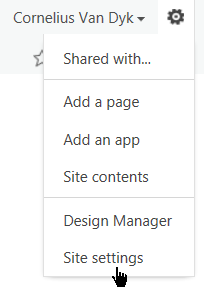 On the dropdown menu, click "Site Settings". 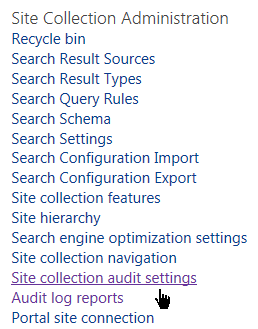 Under the "Site Collection Administration" section, click the "Site collection audit settings" (/_layouts/15/AuditSettings.aspx) link. 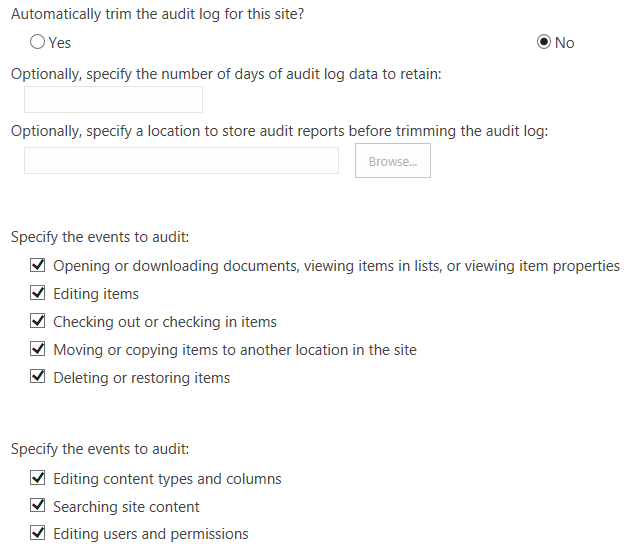 On the "Configure Audit Settings" page, you can configure a multitude of options such as audit log trimming and the different events to audit. Once you've configured your desired settings, click the "OK" button to close the page and enforce the settings. You will have to wait for the audit processing timer jobs to run before reports will become available. The delay time will depend on your system's configuration, but by default these jobs run daily. 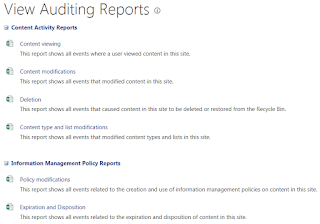 To view the reports, simply return to the site settings page and click "Audit log reports" (/_layouts/15/Reporting.aspx?Category=Auditing) under the Site Collection Administration section. From this page, you will have several report options. Play around with these reports and see what's useful to you. The reports simply do not get generated. No explanation from SharePoint. Check to see that the timer jobs are running.